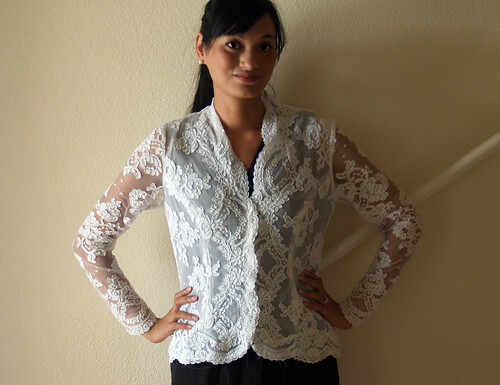 A few weeks ago, during tax free weekend, I found a dowdy white Victor Costa bridal jacket on the 50% off rack at Buffalo Exchange. 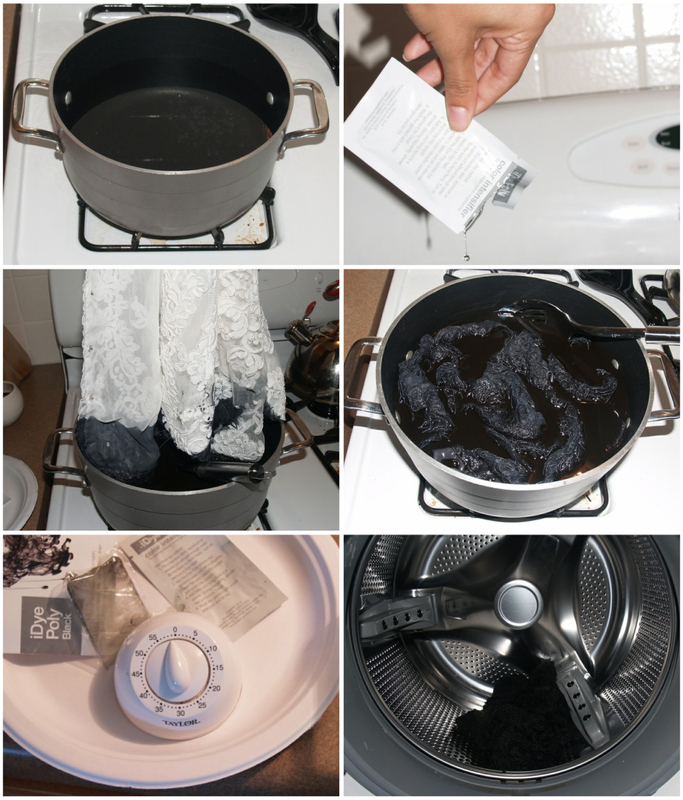 For $4, I figured why not try to dye this black? 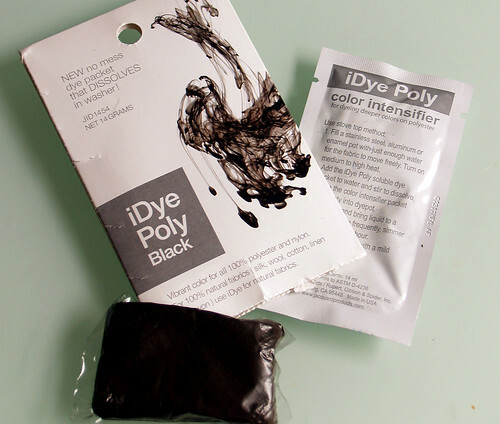 Pambamboo sent me a link to iDye, which is a dye specially formulated for nylon and polyester. I told Hubs about it, and he picked up a pack for me at Joann Fabric. Cost= $3.75. I had some extra time on my hands before tonight's dinner party, so I thought I'd give it a shot. I followed the instructions to a tee. Two hours later, the dryer sang its finishing song, and the process was done. I was so excited... but then, oh noes! The top threads in the lace of my jacket didn't retain the dye! One one hand, this looks visually interesting, but on the other hand, while I, for sure, like the jacket better than when it was white, I think I would have preferred it to have dyed all the way. What do you think? Should I attempt to dye it again? Or should I try to work this jacket just the way it turned out?